The Society for the Neurobiology of Language thanks the following companies for their support of our 2019 meeting. Please visit these sponsors during the 2019 meeting. The Society for Neurobiology of Language is generously supported by the National Institutes of Health (R13 grant #DC011445). 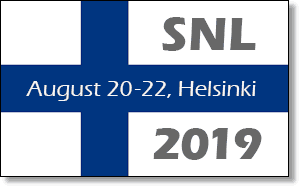 The NIH has been supporting SNL meetings by sponsoring travel grants to under-represented minorities, daycare services, sign language interpreting services and more, thus enhancing the accessibility of the meetings to various audiences. We are extremely grateful to the NIH for its generous support of SNL meetings over the years. 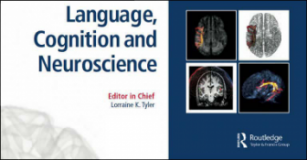 An interdisciplinary journal, Brain & Language focuses on the neurobiological mechanisms underlying human language. The journal covers the large variety of modern techniques in cognitive neuroscience, including lesion-based approaches as well as functional and structural brain imaging, electrophysiology, cellular and molecular neurobiology, genetics, and computational modeling. All articles must relate to human language and be relevant to an elaboration of its neurobiological basis. Along with an emphasis on neurobiology, journal articles are expected to take into account relevant data and theoretical perspectives from psychology and linguistics. Helsinki is the Capital of Finland and the centre of the Helsinki Region, a functional urban region of about 1.48 million inhabitants and 767,000 jobs. Founded in 1550, it is the world’s northernmost metropolitan area with over one million people, as well as the northernmost capital of an EU member state. Helsinki is the country’s most important centre for politics, education, finance, culture, and research, and it has one of the highest urban standards of living in the world. Helsinki Region Transport is a joint local authority whose task is to develop and provide smooth, reliable transport solutions to customers’ needs in the region. In 2017, a total of 375 million journeys were made on HSL’s transport services. HSL strives to make the Helsinki region the most functional urban region in the world, promoting attractive eco-friendly mobility options. Aalto University, with its main campus in Otaniemi, Espoo, is a multidisciplinary community of 20,000 bold thinkers, committed to identifying and solving grand societal challenges and building an innovative future. Aalto University was established in 2010 as three leading Finnish universities, Helsinki University of Technology, Helsinki School of Economics, and University of Art and Design Helsinki, were merged. Established in 1640, the University of Helsinki is the oldest and largest institution of academic education in Finland, an international scientific community of 40,000 students and researchers. In international university rankings, the University of Helsinki typically ranks among the top 100. 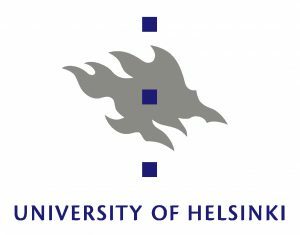 The University of Helsinki seeks solutions for global challenges and creates new ways of thinking for the best of humanity. Lingsoft is a full-service language management company and one of the leading providers of language services and solutions in Finland and the Nordic countries. We provide a wide range of services and solutions for analysis, processing, production and management of spoken and written language. Please read more at https://www.lingsoft.fi/en. CICERO Learning is a network for distinguished researchers and research groups on learning, brain and technology. The researchers of the network are based in different universities and research institutes in Finland. The network builds co-operation with research groups and units around the world.